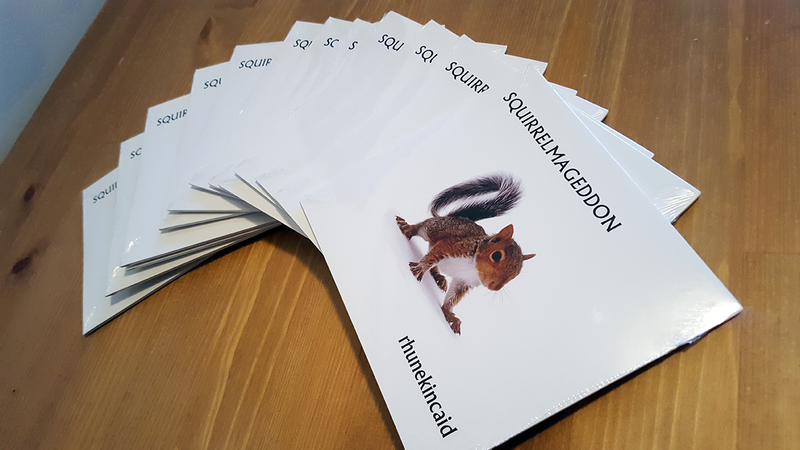 This is Squirrelmageddon by Rhune Kincaid (me). It’s a music album with 20 songs. Hit play. Clickthrough to rhunekincaid.bandcamp.com to download Mp3s (for free), get an ol’ timey CD, or read the lyrics. Tell me what you think? Then I’ll make downloads, CDs, and some music videos available after that. tl;dr: All that’s left to do is to listen. This page took 0.587 seconds of computer labor to produce.